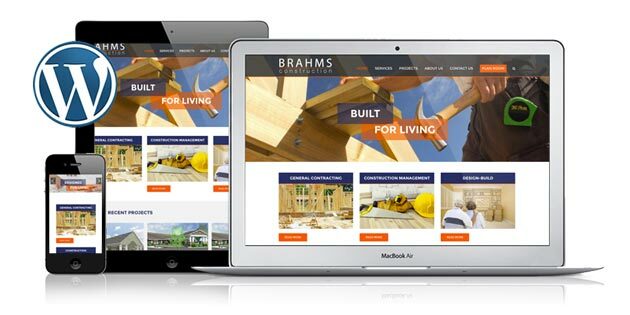 For Brahms Construction, I designed and developed this new website to highlight their expanding business. The client wanted to show their new clients their full range of services plus highlight their completed projects. I came back to them with 2 design options and they were very happy with both designs, but finally picked the one the liked the most. I took it from there and built out the core WordPress files and templates. Once we had approved content for all the pages the content and photos were then inserted the website. They are very pleased with their clean new look in a “fully responsive” website and look forward to easily adding new information and projects in the future.